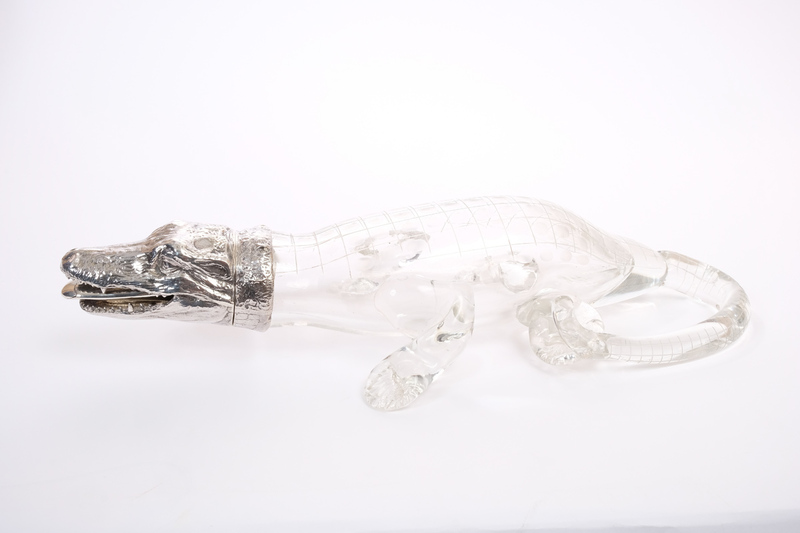 Reeman Dansie in Colchester will offer more than a dozen animal-shaped objects in its Royalty, antiques and fine art sale. The lots come from the estate of a local collector who assembled the group over the past 40 years. 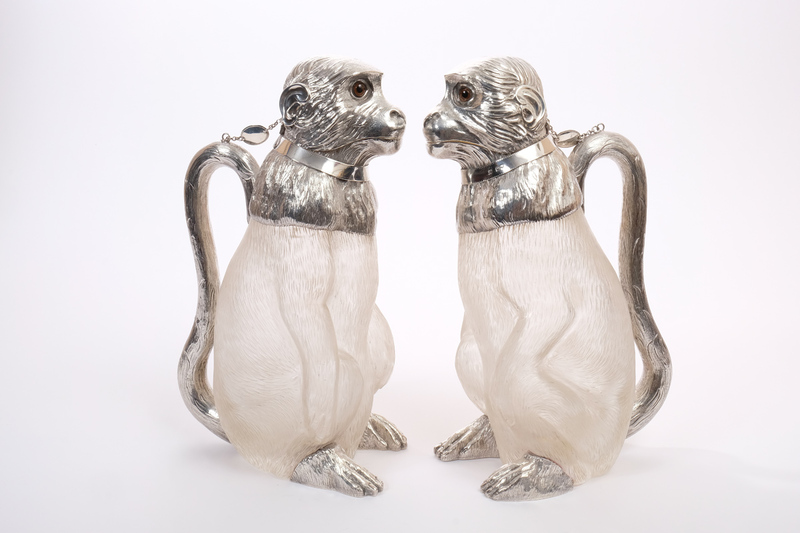 "We might encounter a collection of Victorian novelty silver like this only once every few years," said Jonathan Benson, associate director of Reeman Dansie. "When I turned up at the client's house and there were 20 of these laid out on the dining table, I thought, 'wow – Christmas has come early'." Benson added that the decanters "were never really used – they were bought to collect". 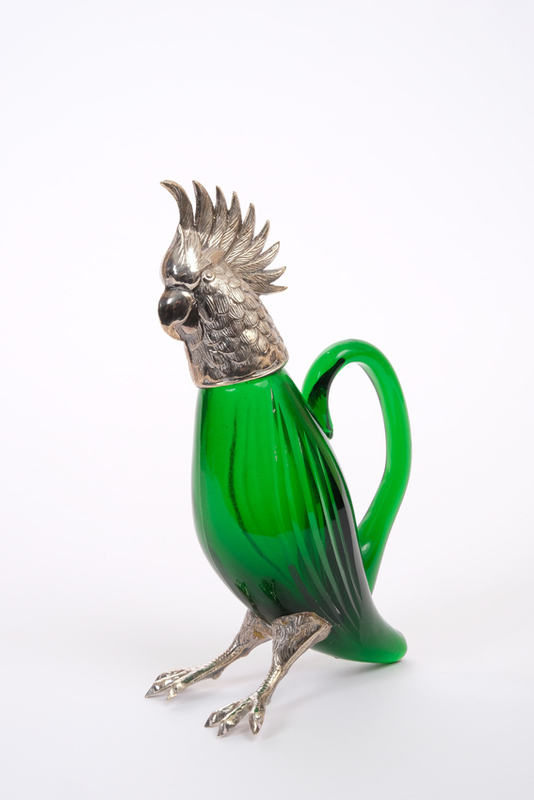 The second part of the sale will take place in February, comprising around 12 lots. 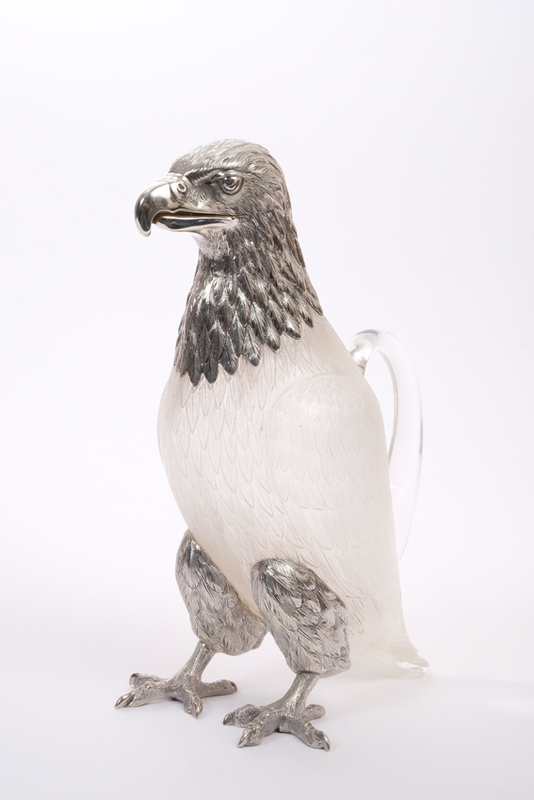 The collection offered today includes claret jugs, pepperettes, whisky tots and scent bottles in the shape of a golden eagle, a crocodile, monkeys, cockatoos, an owl, a budgerigar, a seal and a walrus. The collection starts at lot 400 and can be followed on thesaleroom.com.